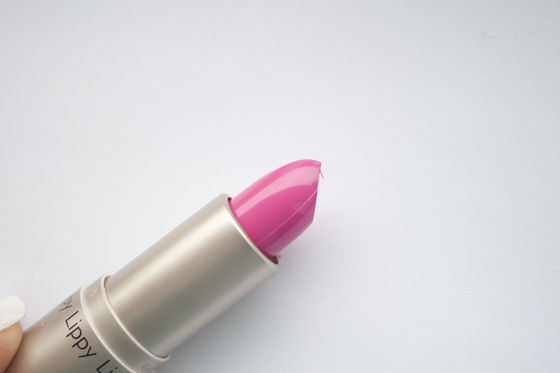 A quirky vibrant bubblegum pink almost neon lipstick with as equally as bright pink lipgloss to go with it. I've never worn a hot pink lipstick before because I normally stick to the paler warmer pinks rather than brighter ones! The tube claims the lipsticks side is matte, but its not at all. In formulation it reminds me of MAC glazes with a slippy sort of feel. The product actually has a slightly glossy finish and takes a few applications to make it full coverage. It doesn't specify if its meant to be sheer or not so I'm not sure if I'm expecting too much! It lasts a few hours on the lips before needing reapplication. The lipgloss side is VERY strongly scented, it smells like the Collection 2000 Cream Puff's but stronger and lingers more. It really bothers me as I hate scented products as they can make my lips tingle and irritated! Regardless I was surprised at how pigmented the lipgloss actually was, as I have dark lips, but it did leave a nice bright pink finish. 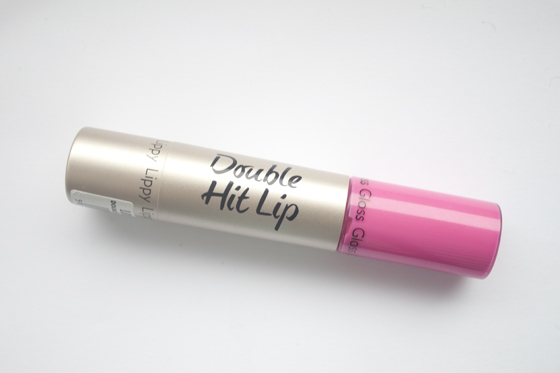 I want to love this Look Beauty Double Hit Lip product as the colour is really fun and pushed me out of my confort zone and in all fairness I have worn it the last two days. I just find the smell off putting and I'm just not sure what I'm expecting from the product itself. Depends if scented products offend you as much as they do me! 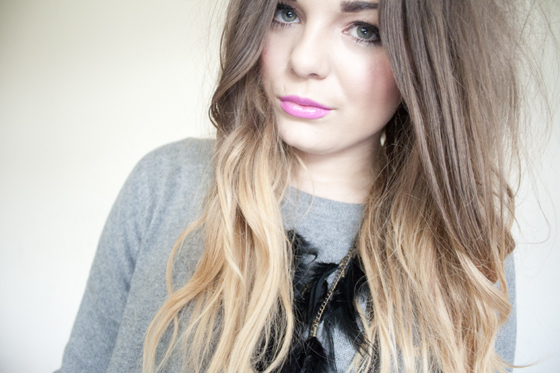 I think I'm going to look into buying a hot pink MAC lipstick next time I'm around a counter instead! I will be reviewing a few items of LOOK Beauty stuff over the next few weeks so please don't completely disregard the range after this review, there is some great stuff in the product line. This product just wasn't for me, you might like it you never know! Dont always take a bloggers word for it! Oh, I absolutely love the color! beautiful color, looks stunning with your skin tone! Oh love this! Keep seeing blogger reviews about Look make-up. I wanna try it! I actually really like the colour on you, shame about the smell, but as you said, some might not mind it and the coulor is great! It does look nice, but I think I might be a bit put off by the scent too! Anything too strong makes me sneeze. I have Pink Nouveau by MAC I loved it so much at first, I still like it but don't wear it so much now. I would reccommend it!